Develop a communication platform for the foster care industry, allowing parents and members of a foster care team to collaborate and share information. Journaling – Journaling daily does more than document your foster child’s day. Research proves journaling is a safe, cathartic release for the stresses of daily life. Behavior Tracking – Identify and track behavior patterns over time to determine if particular events or particular settings are possible triggers. Discussion Forums – Get feedback from everyone on the team about a specific topic, struggle or question. Collaboration at its best! Photo Galleries – Document your foster child’s activities, achievements, and key life events so everyone on your team can share in your foster child’s experiences. Alerts – Automatic text message and email notifications to caseworkers, supervisors and counselors in the event of abuse disclosures or other data driven triggers. Agency Dashboards – Give agency supervisors a tool to measure caseworker and foster parent engagement, tasks, foster child abuse disclosures and well-being. File Management – Manage files with an easy to store system. Share and access files related to your foster care team. Task Management – Keep track of who is responsible for what, when items are due and how much progress has been made. 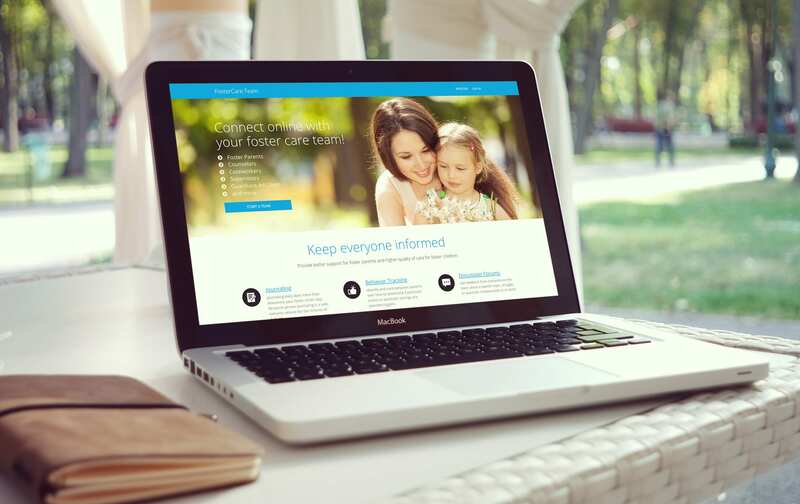 Working with Fostercare's CTO for over a year, we developed the Fostercare.Team platform, a web-based, team-centric, foster care collaboration software that improves foster parent support and increases the quality of care for children in foster care. National surveys show that up to 60% of foster parents quit during the first year. 40% of them cite poor caseworker communication and perceived lack of support from the agency as their primary reasons. Additional reasons include stress, inadequate training, and struggles dealing with grief and loss. These are the primary reasons foster parents give for quitting and FosterCare.Team was built to effectively addresses every one of them.